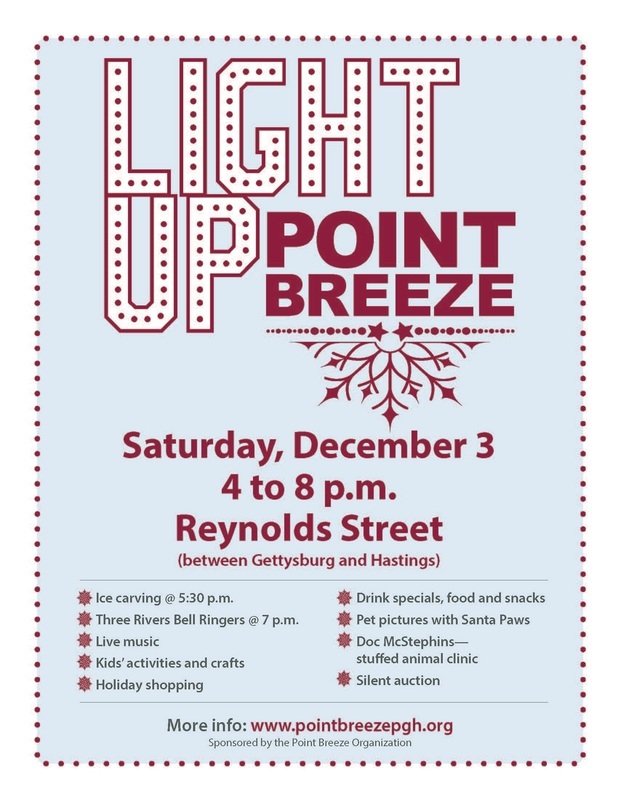 Thanks to all who joined us Saturday, December 3, for Light Up Point Breeze! Special thanks to Councilman Dan Gilman for turning the lights on to kick off the festivities and to ﻿Print ﻿newspaper for the photo coverage! THANK YOU to our Light Up Point Breeze chairperson, Larry Gerson, and the generous volunteers, local businesses, and supporters, without whom we could not put on this event. Three Rivers Ringers performance courtesy of Dr. Joop and Mrs. Joyce Offerman.